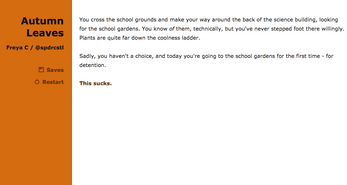 A short little twine vignette about two queer kids gardening and talking about bullying. Made for Raining Rainbow Jam. 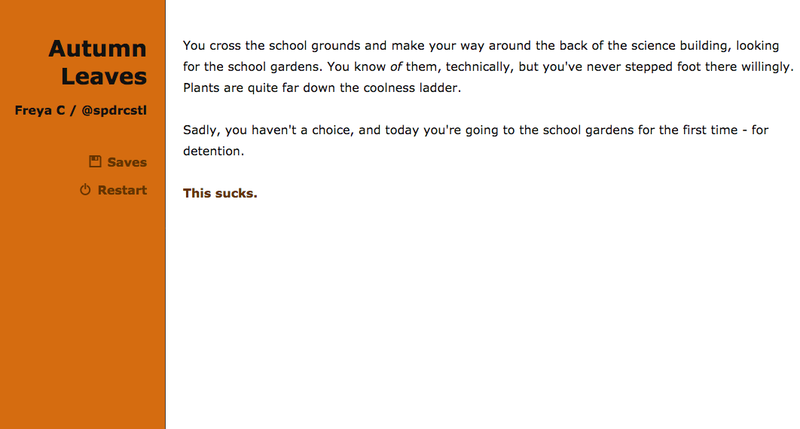 Background music by Freya C.
That was some beautiful writing and a nice, self-contained short story. Props! Hello, I am a transwoman and even though these characters are much younger than I am I remember very well these feelings. Thanks for your work!